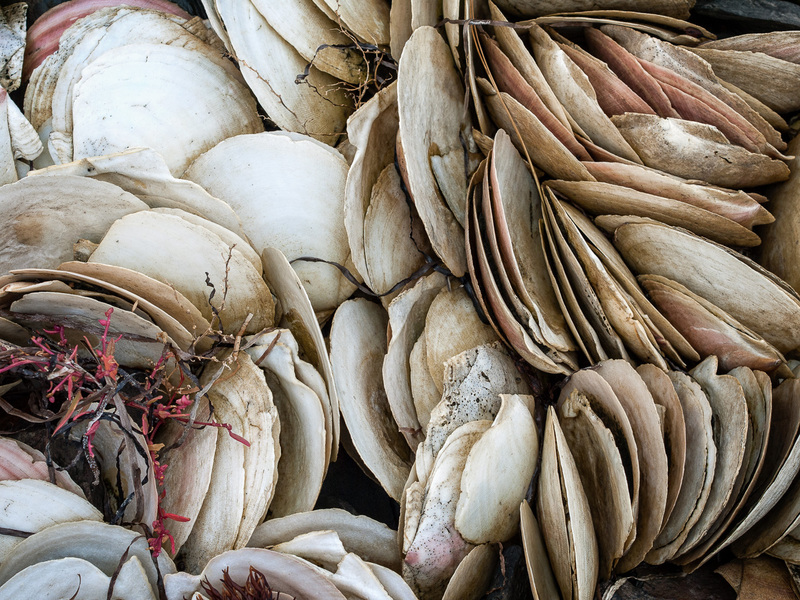 On a small, rocky beach at one Nova Scotia’s many small fishing communities, my wife and I came across this scene – hundreds of scallop shells together. They looked like cast-off dinner plates. And, perhaps, that’s what had been happening here – years of locals bringing home some scallops, shucking them right there, and having a snack or lunch. I’m not a fan of raw shellfish, but very fresh scallops can be eaten that way, and are prized by some. I was originally drawn by the novelty of the scene, then by the texture and patterns. As I got closer, I was also captured by the subtle colour differences among the shells, and the bits of seaweed dotted here and there. 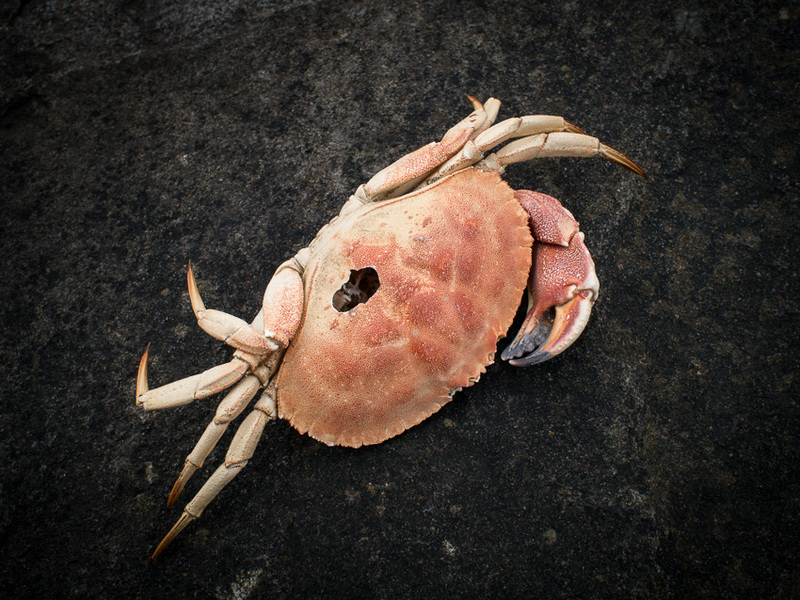 Fishing has been in the life-blood of Nova Scotia since the beginning. Over the centuries, the fortunes of those who fish for their livelihood have ebbed and flowed like the sea itself. Mostly it’s been a hard, hard life. And it remains hard work – harder than most of us can imagine. At the bigger wharves, such as Digby on the Bay of Fundy or Dennis Point at Pubnico, fishing looks like an industry. The number and size of the boats, and the high value on a fishing license, bear that out. But there are also numerous small wharves and communities with a dozen or half-dozen boats, and independent-minded fishermen with their own private docks or buoys. And the old, rotted hulls and abandoned shanties that still dot the coast are a reminder of when times get tough. One friend tells me about his boyhood in Lockeport – “We were poor. And poor people ate lobster, because it was cheap and available.” Imagine.